Assorted social media posts for Uprooted, a multimedia project from the UNC School of Media and Journalism documenting Venezuelan families who have fled to Medellín, Colombia, to seek better lives. As the public relations and social media coordinator for Uprooted, I developed and executed a public relations and digital strategy that amplified the voices of those affected by this issue. 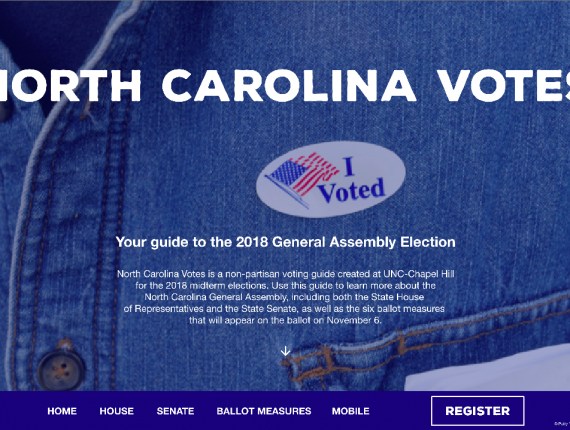 Through the use of both Spanish and English copy, we sought to prioritize inclusivity for both our English- and Spanish-speaking publics. A combination of both original posts and shared content from approved news sources placed the documentary within the greater context of the ongoing crisis in Venezuela. Facebook animated explainer video provides context on the Venezuelan crisis. 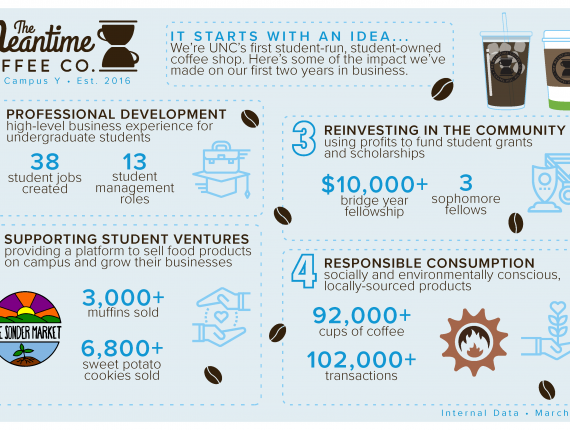 Infographic for The Meantime Coffee Co., UNC – Chapel Hill’s first student-run, non-profit coffee shop, detailing its social value pillars and impact to date.